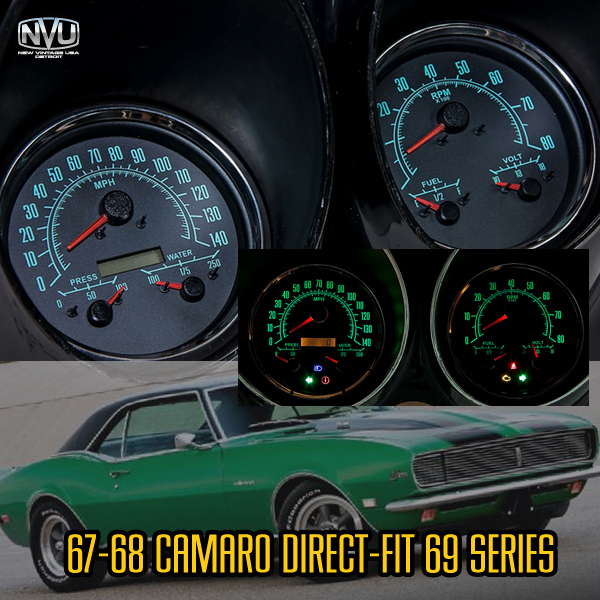 67-68 Camaro/Firebird mounting bracket kit for custom NVU brand aftermarket gauges and instruments makes installing a breeze. Start with the precision CNC laser cut ABS bracket kit and then select the style of gauges to fit the theme of your ride.-Gauges and kits sold separately. NVU makes it simple to select items as you need them for a truly custom setup, no one size fits all. Option 1: Clean minimal install- 3-1 gauge kit in any style See images below for some examples. Looking for something a bit more original? The 68 or 69 series is a perfect fit. Performance Series is a great fit for pro-touring builds or an upgraded look. 1940 and 67 series are a great match for retro, resto mod or more of an old school look. 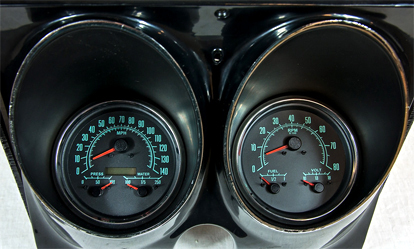 Option 2: Add any NVU 4-3/8" speedometer and tachometer in the main gauge pods and then use 2-1/16" in the center condole or under dash.